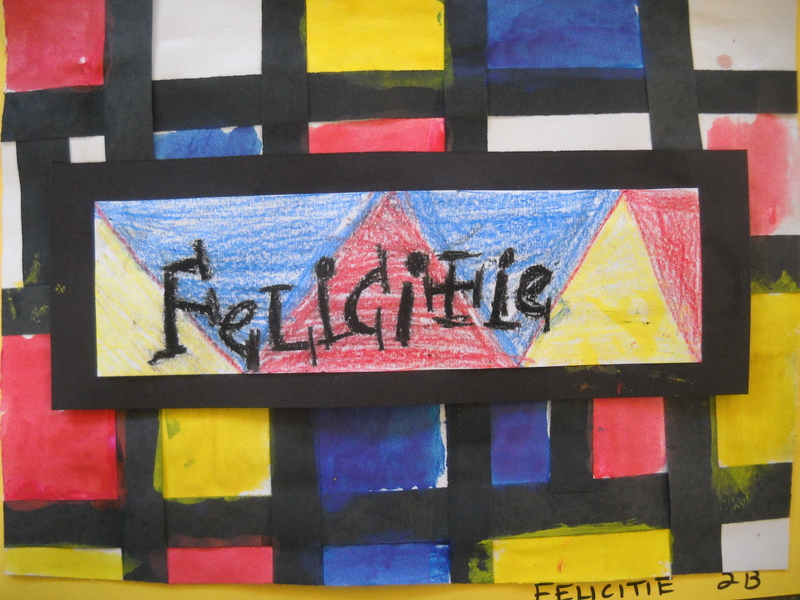 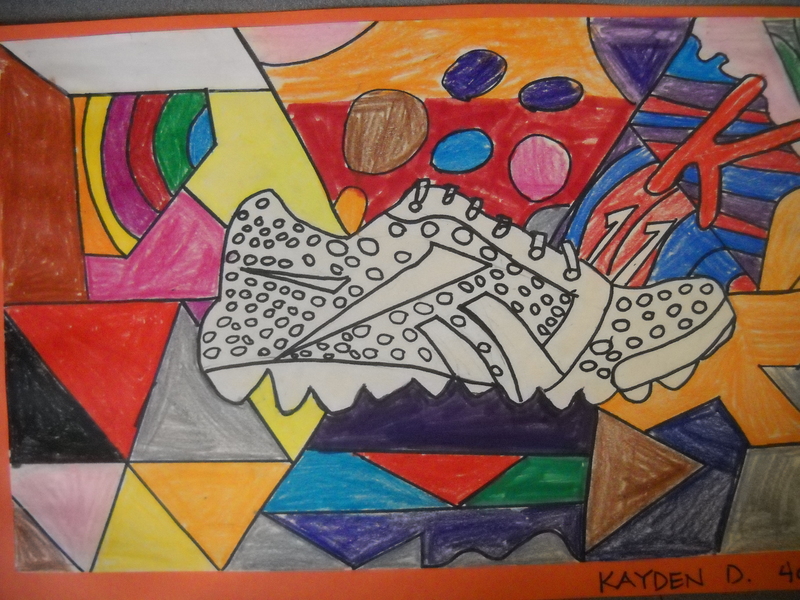 Second graders learned about the artist Piet Mondrian who created a whole series of paintings using the primary colors of red, yellow and blue. 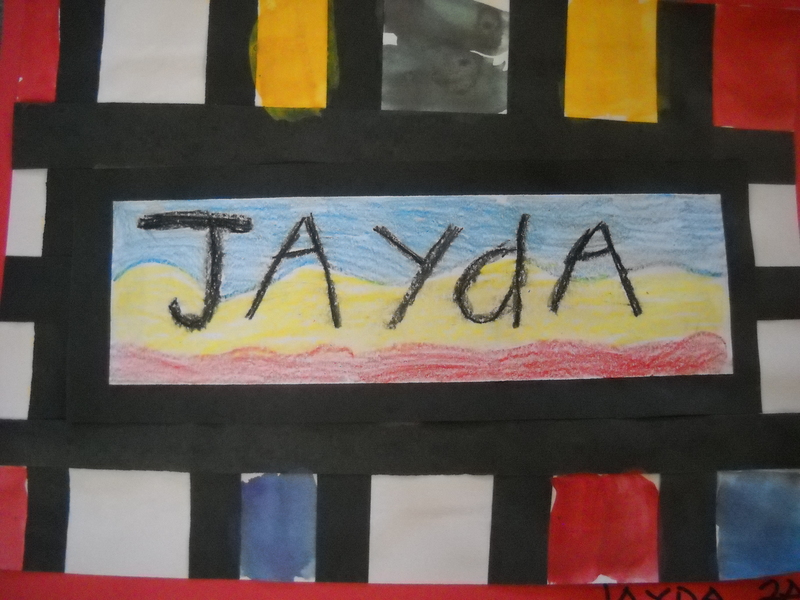 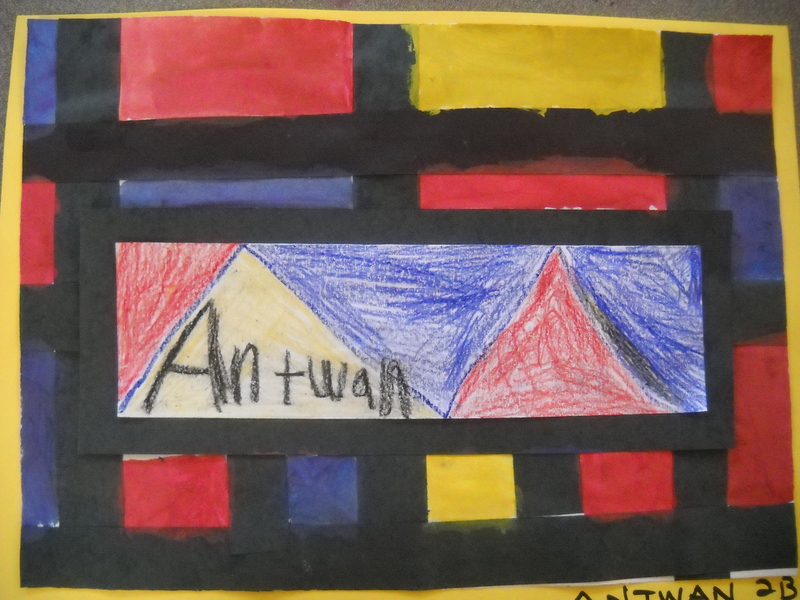 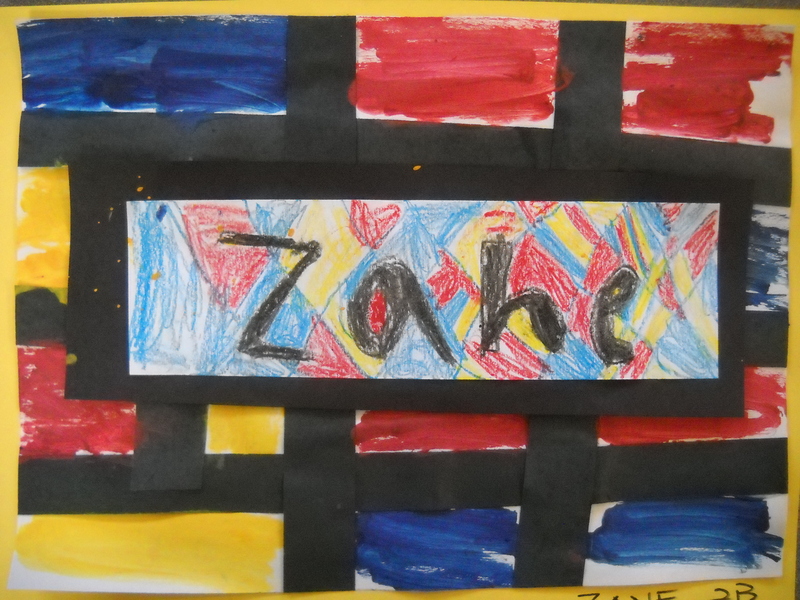 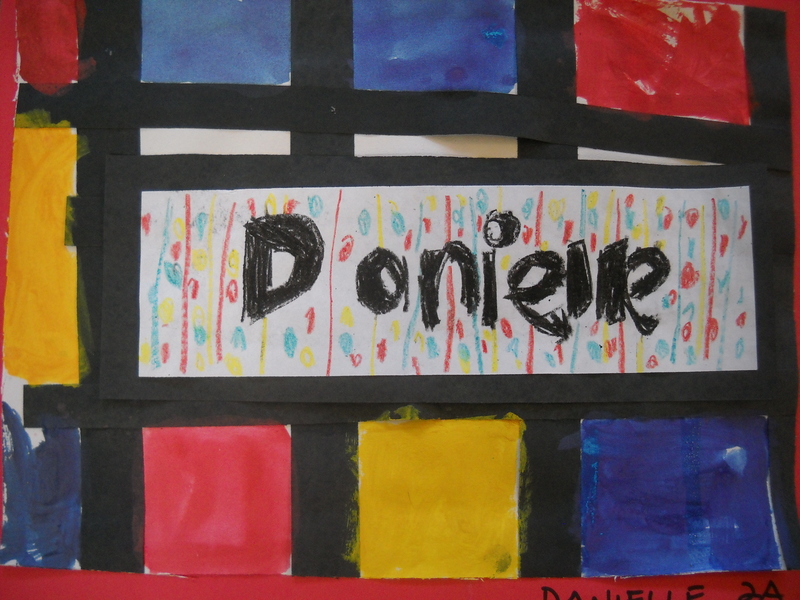 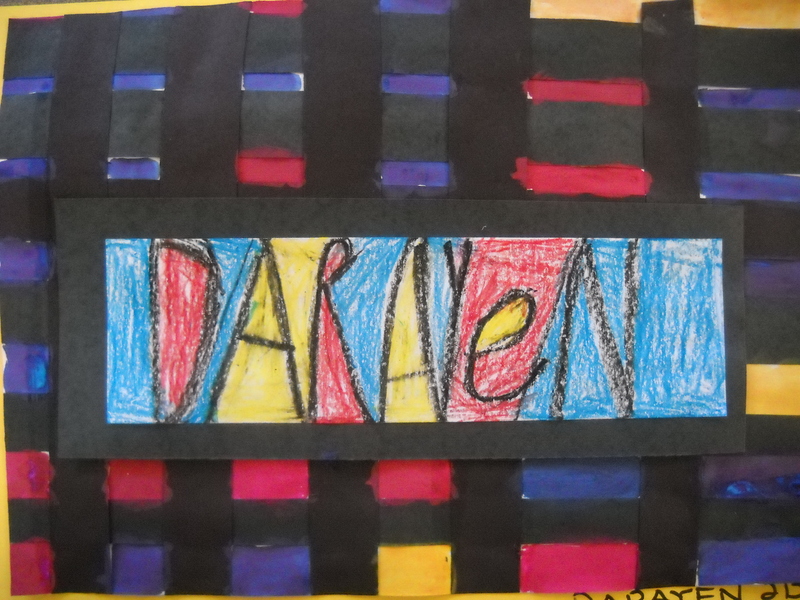 We created name posters for our Mondrian project. 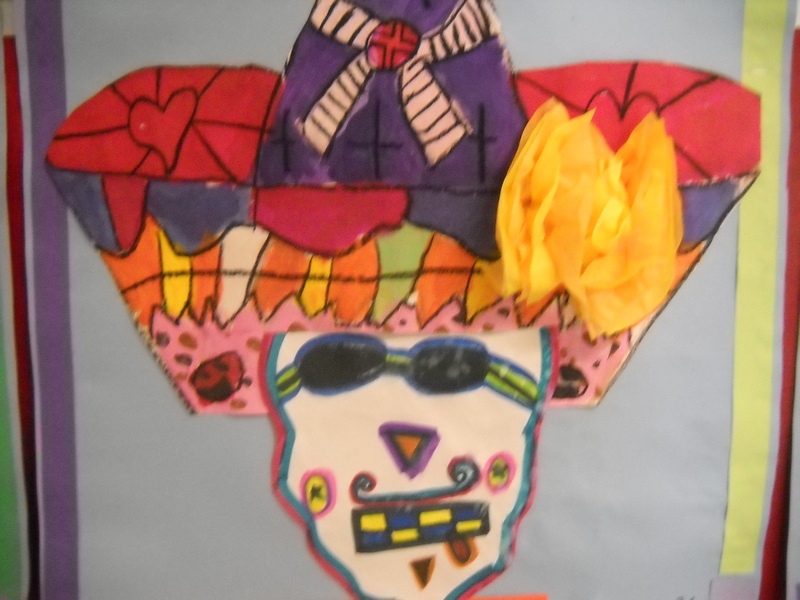 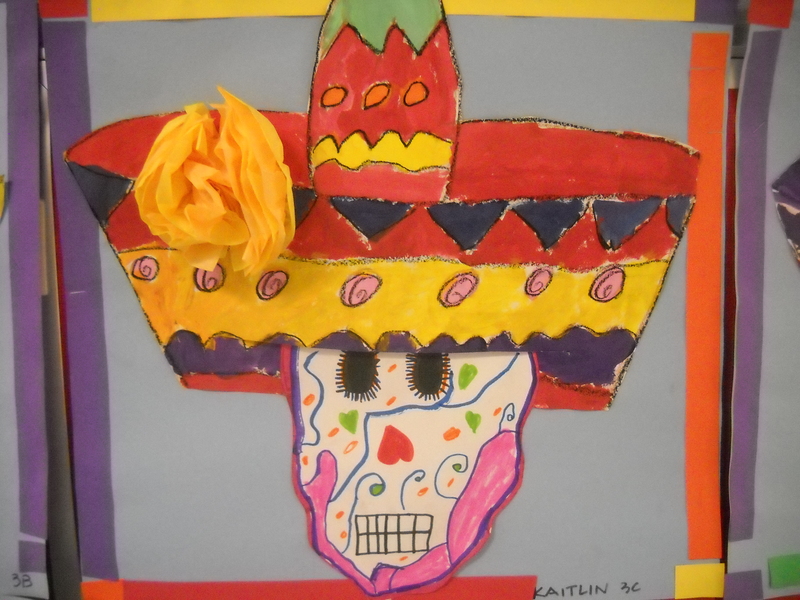 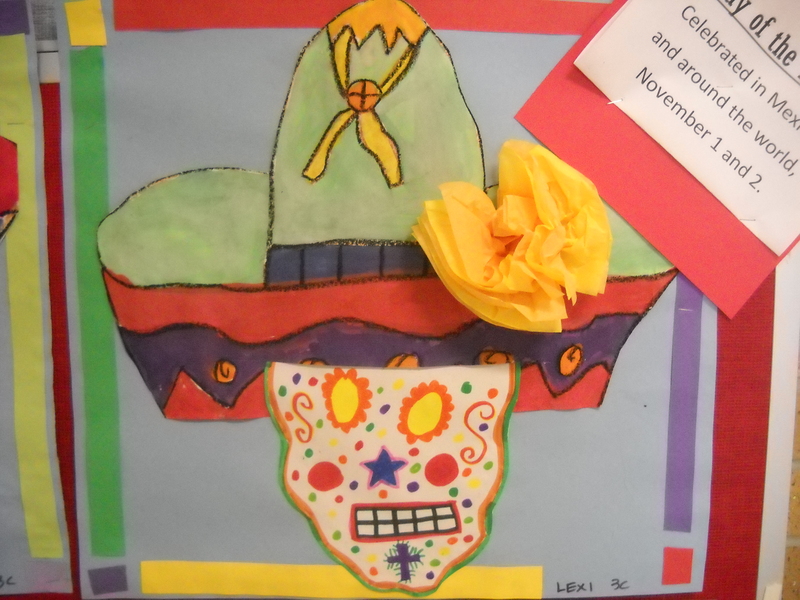 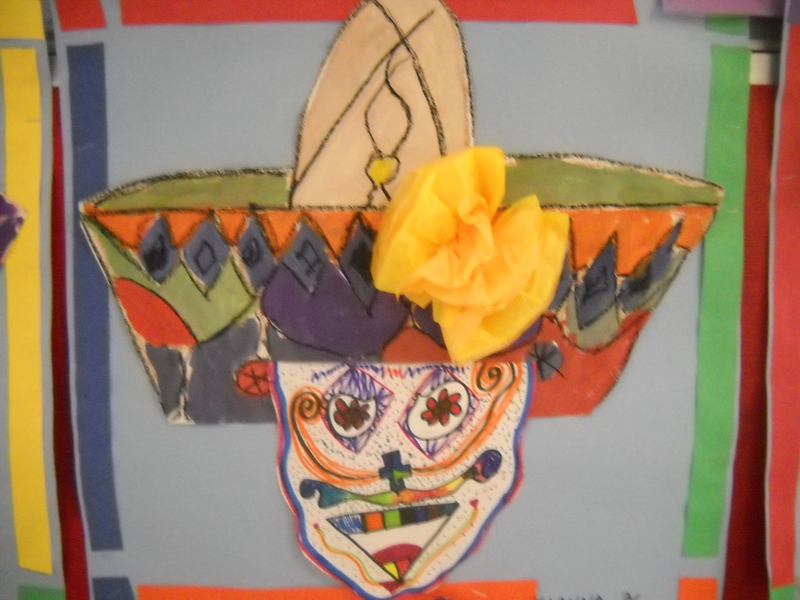 Third graders learned a ton of information about “Day of the Dead” from their Spanish class. 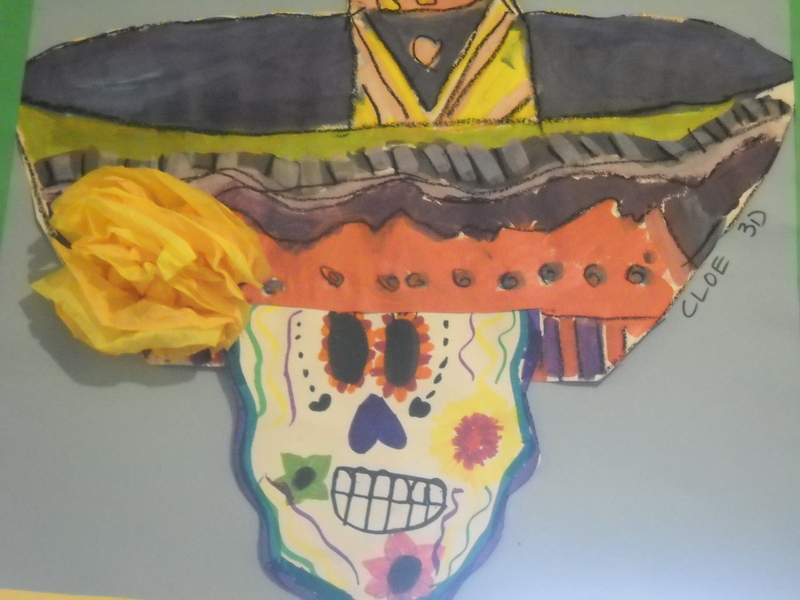 We took that information and created some fantastic decorations for the popular Mexican holiday where people take time to remember those loved ones who have passed away. 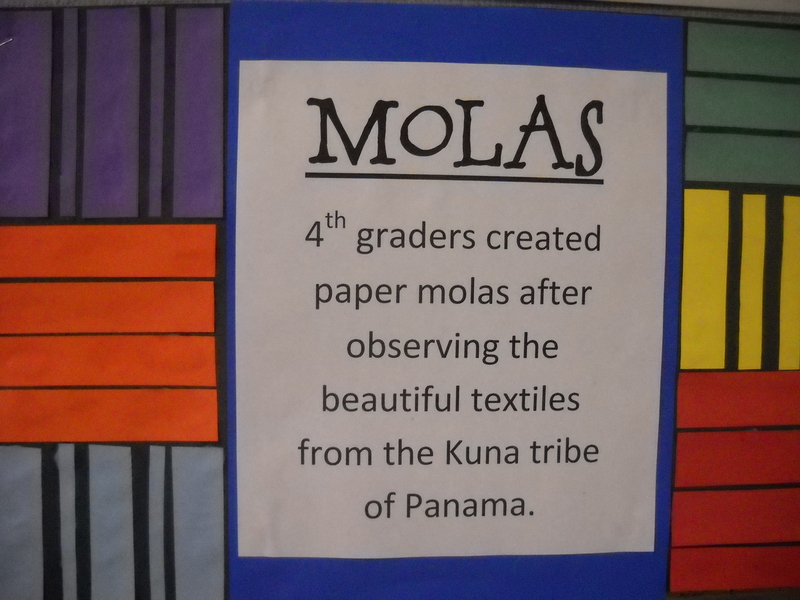 4th grade students observed beautiful molas from the Kuna tribe of Panama by viewing videos found on youtube. 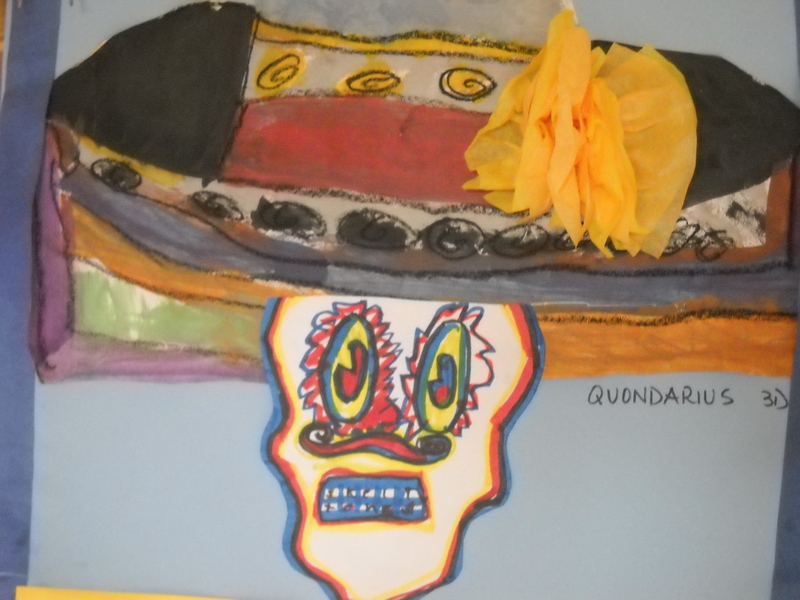 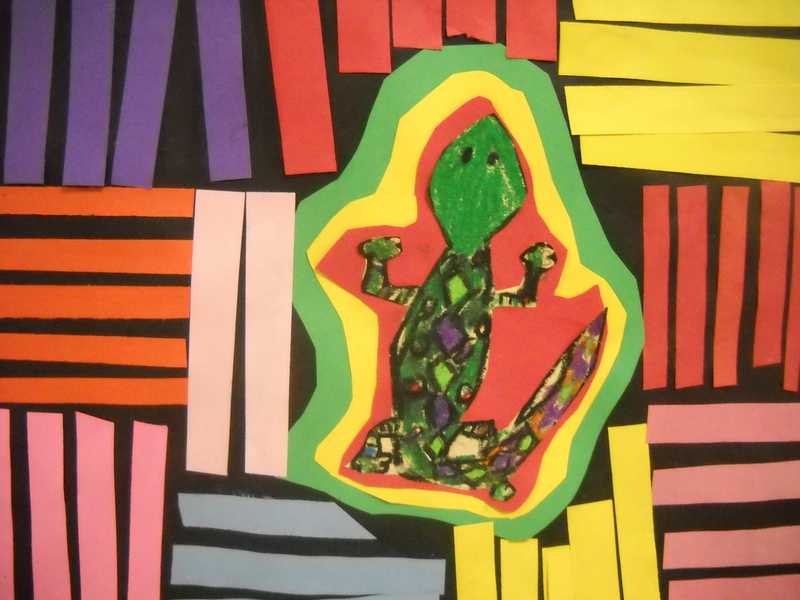 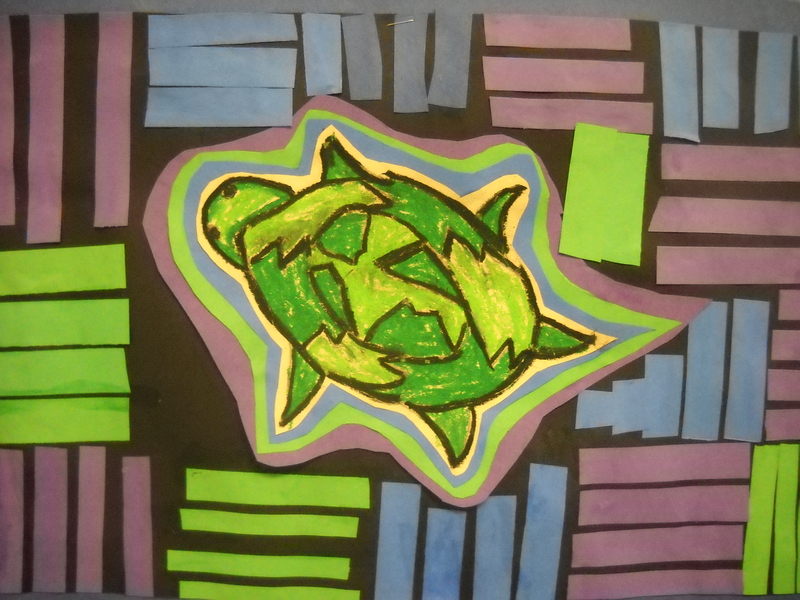 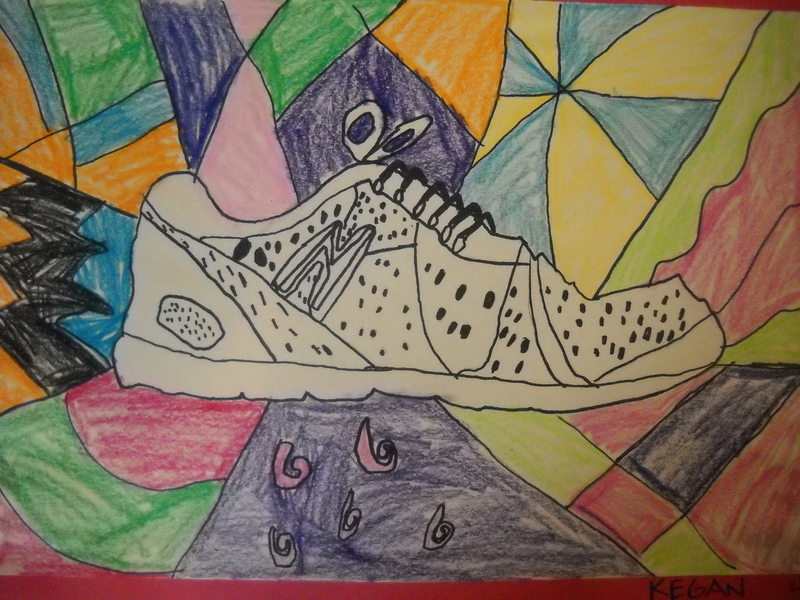 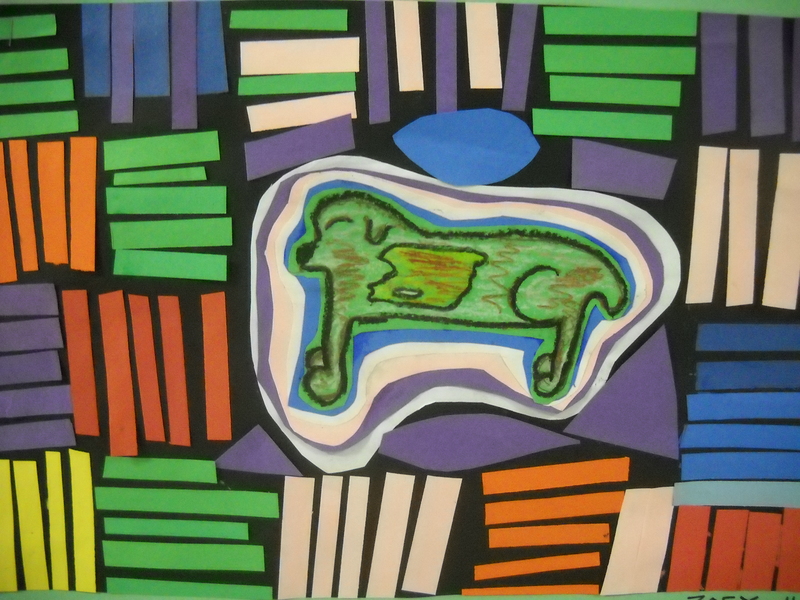 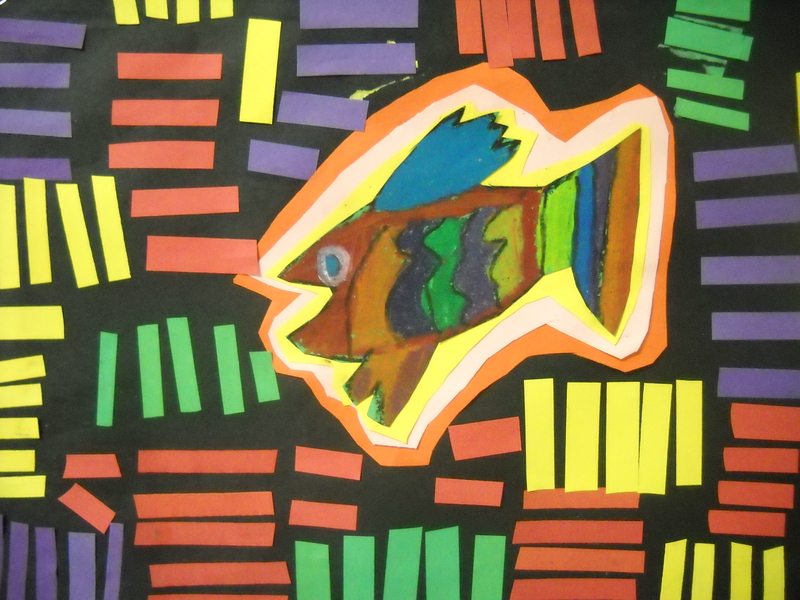 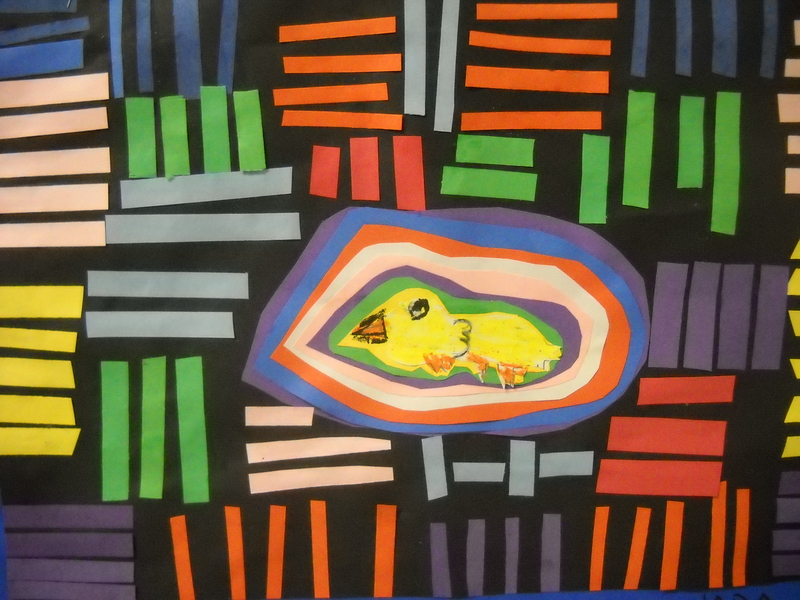 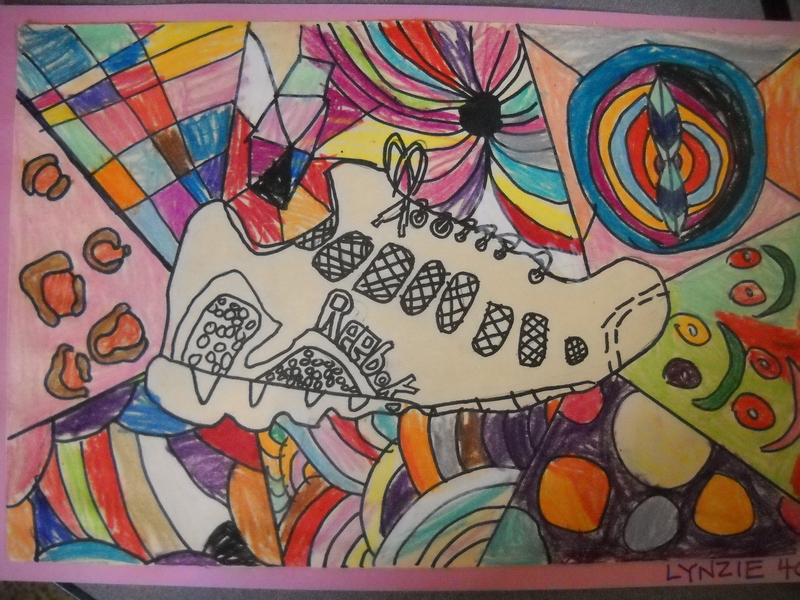 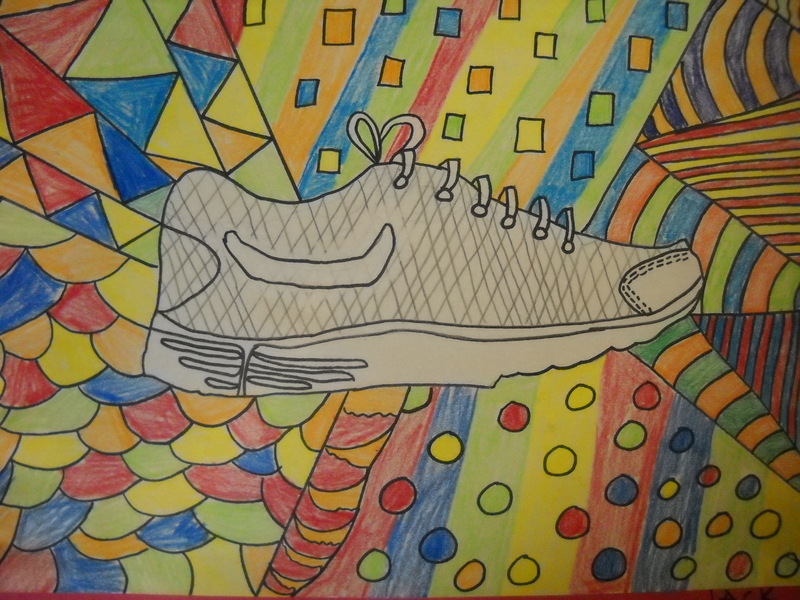 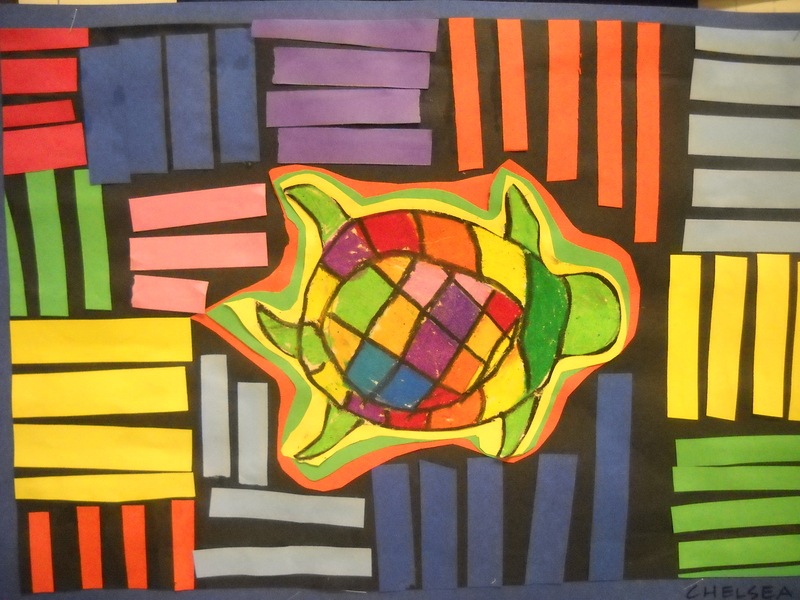 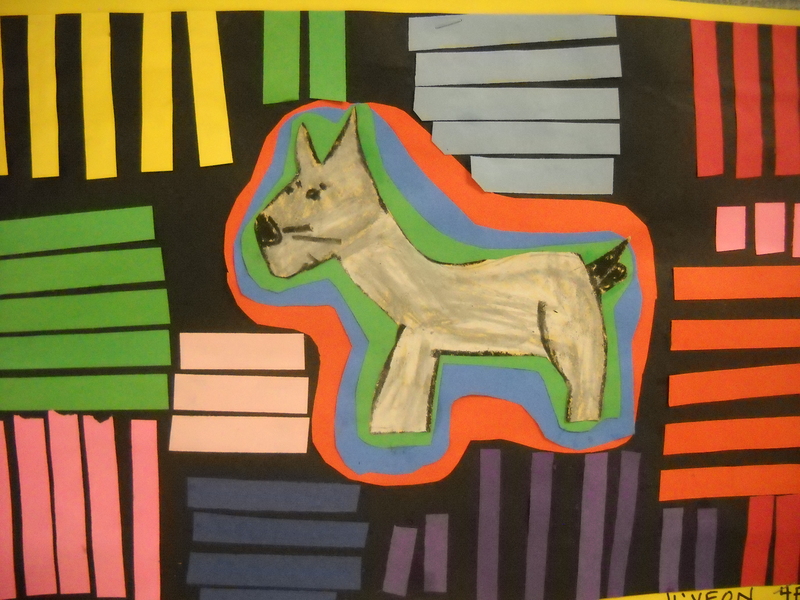 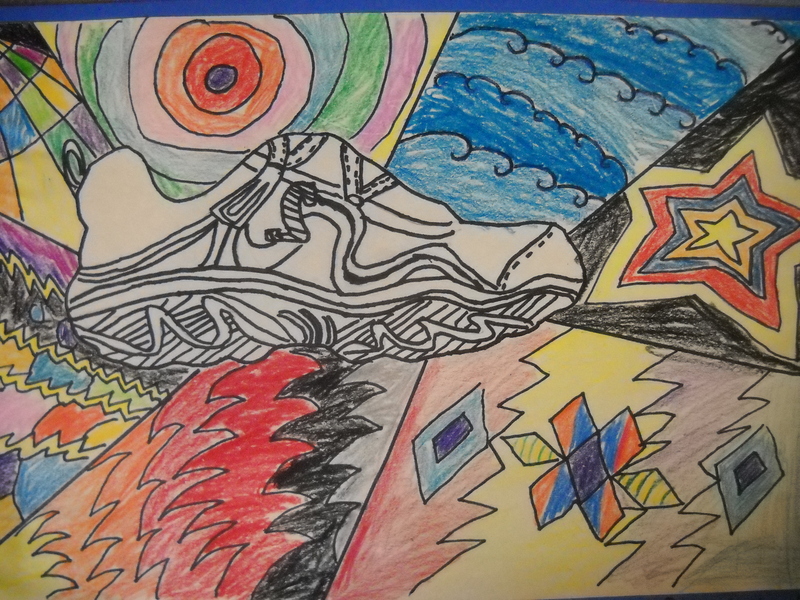 They chose subjects from nature and drew them for the center of their molas. 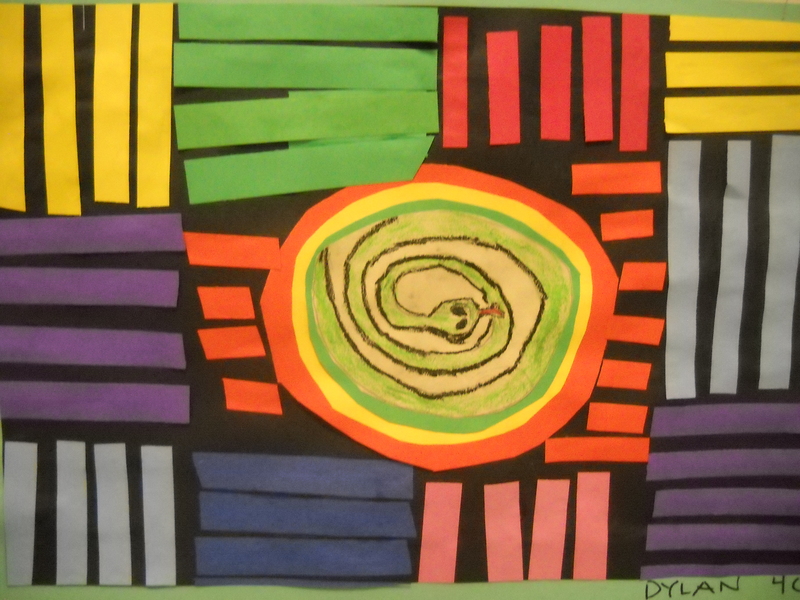 They surrounded the center picture with strips of colorful paper to resemble the bright colors of the original molas. 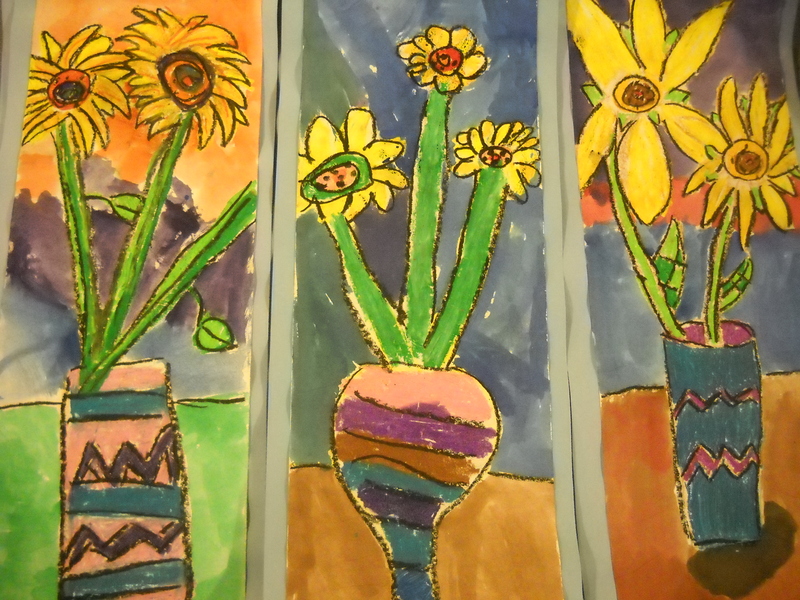 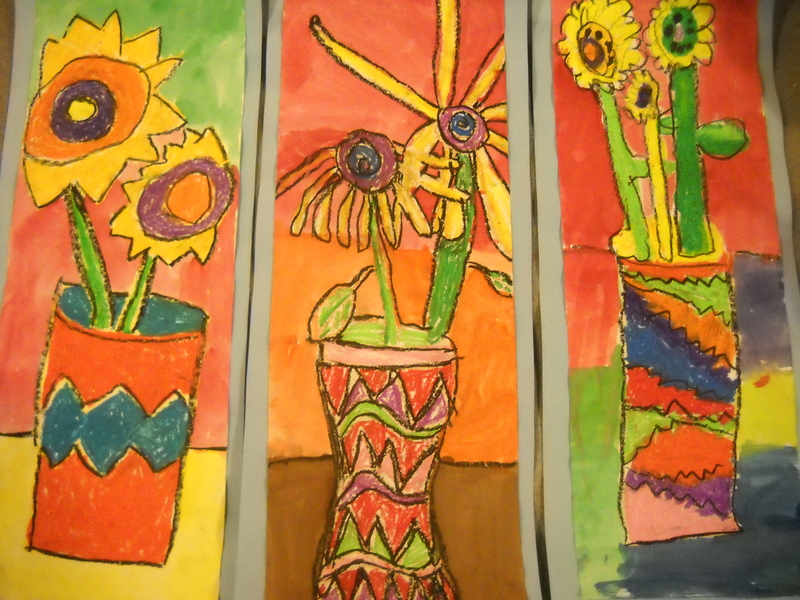 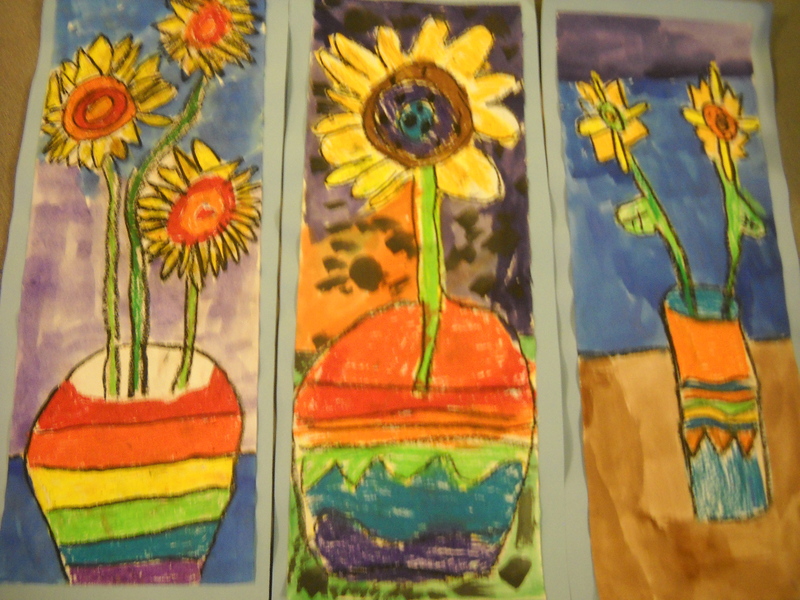 Third graders used a variety of media to create sunflowers, experimenting with chalk, oil pastel and tempera paint. 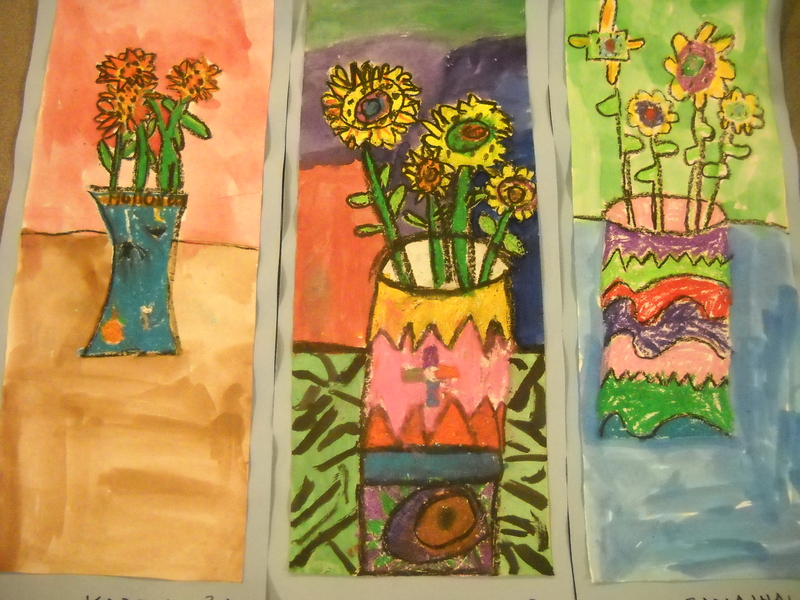 Here are some of their beautiful expressions. 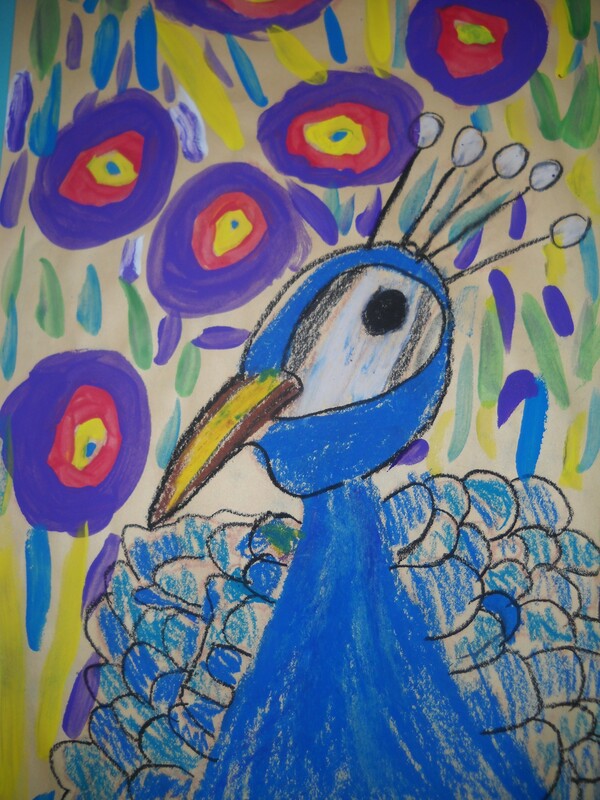 You Tube has fantastic videos of peacocks strutting their colorful feathers. 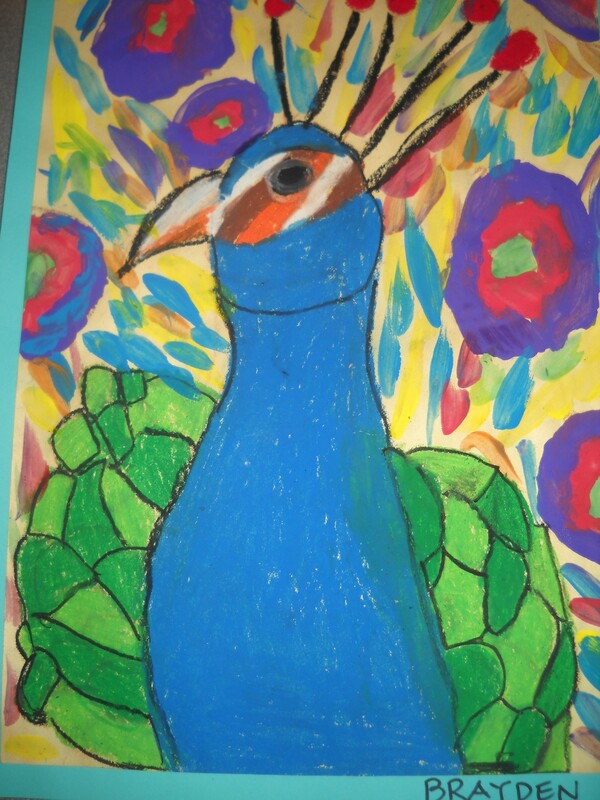 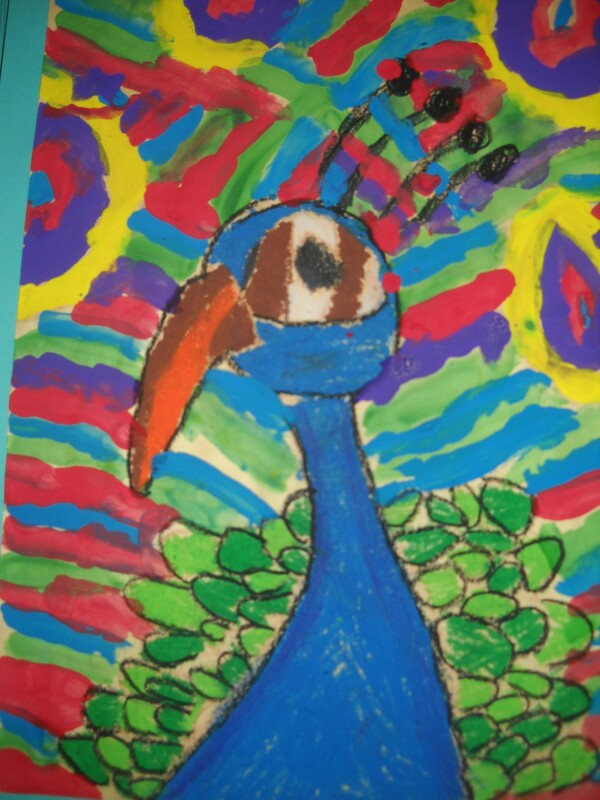 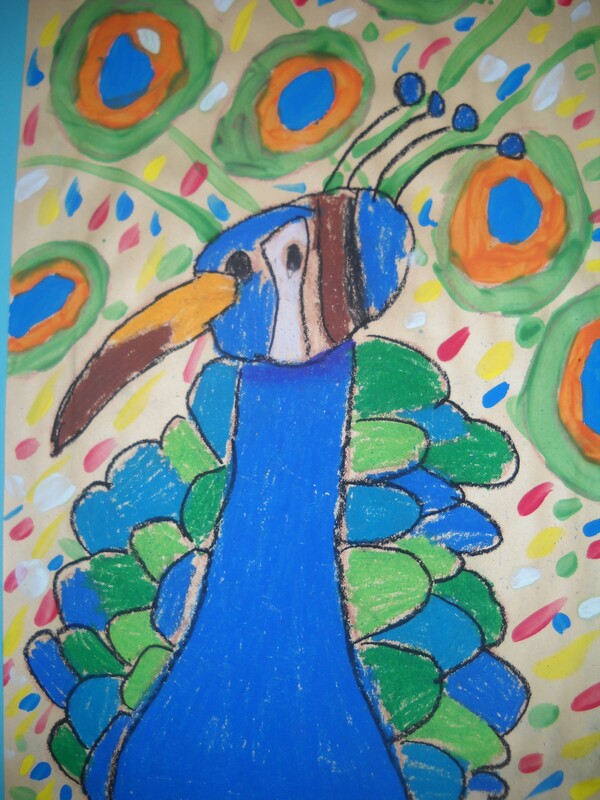 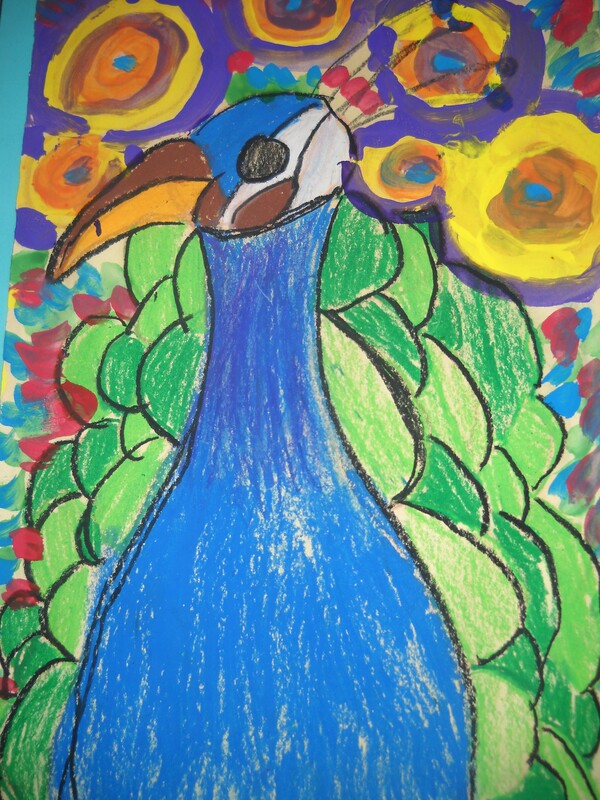 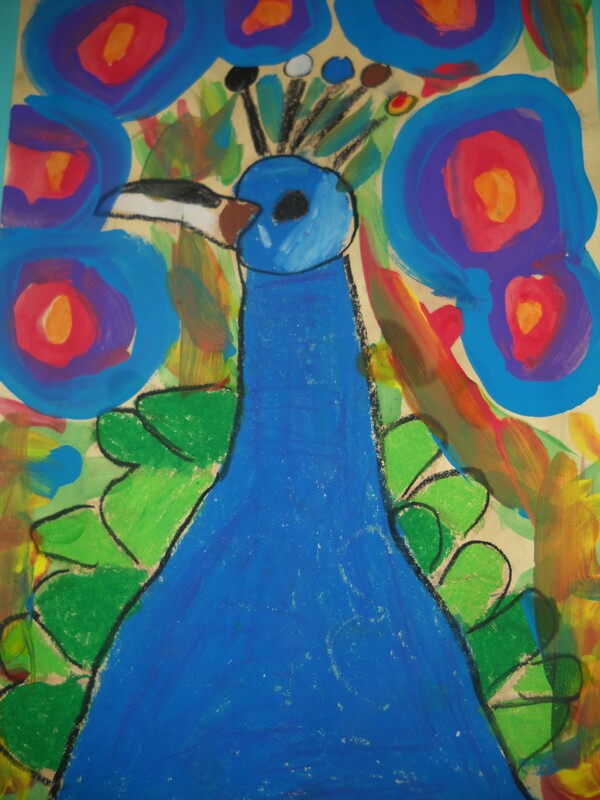 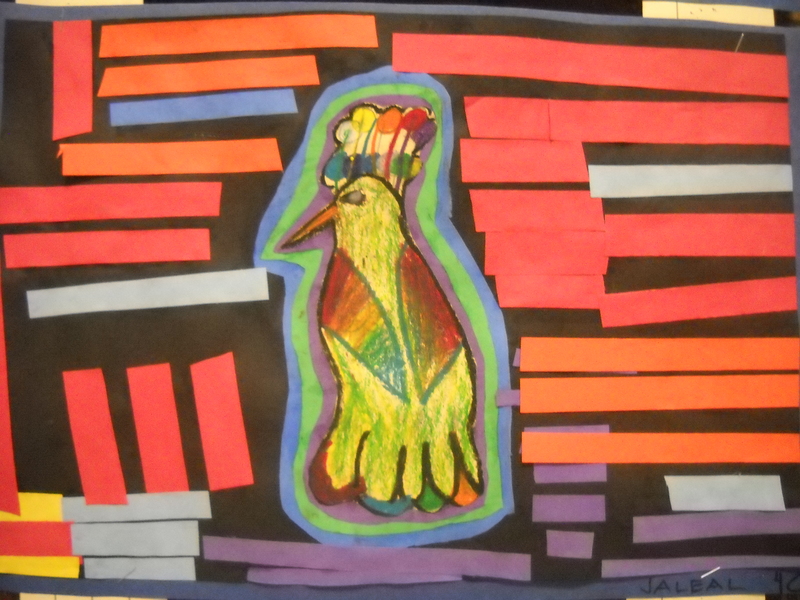 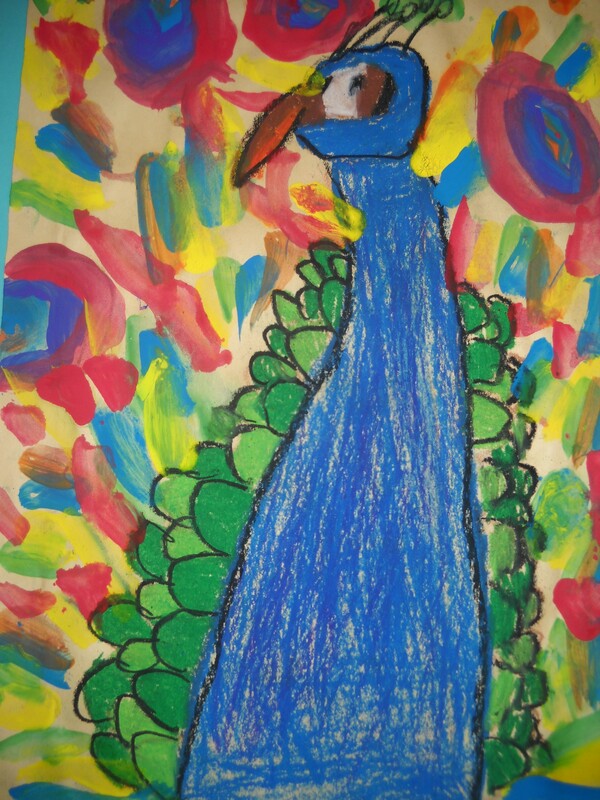 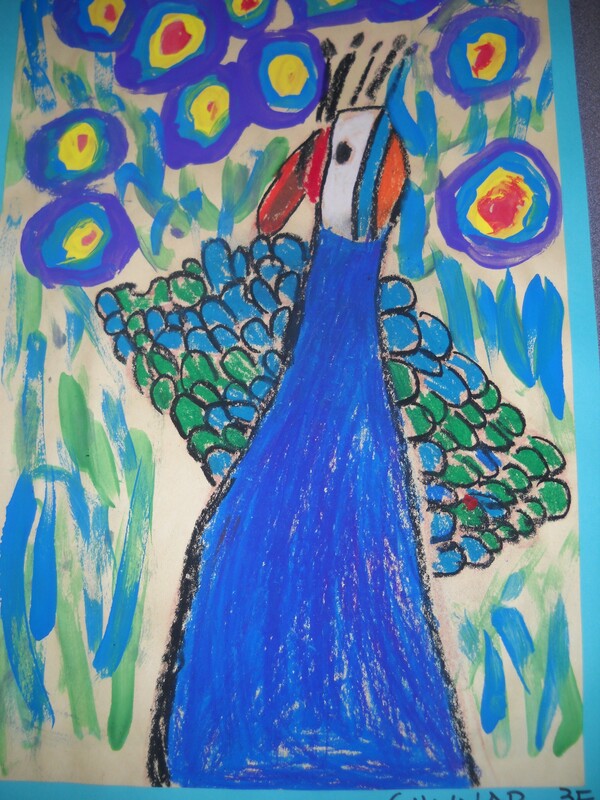 Carver’s third grade students got a kick out of watching their quirky movements and then set to work creating these marvelous peacocks. 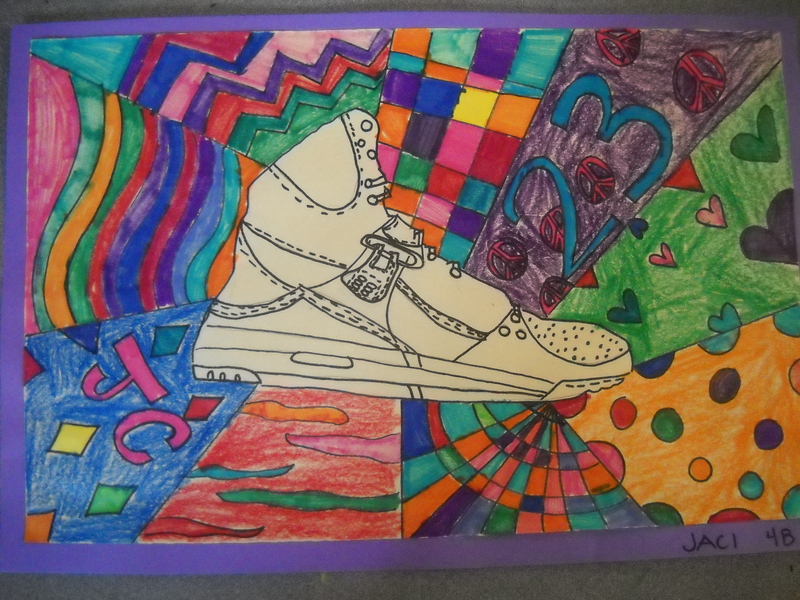 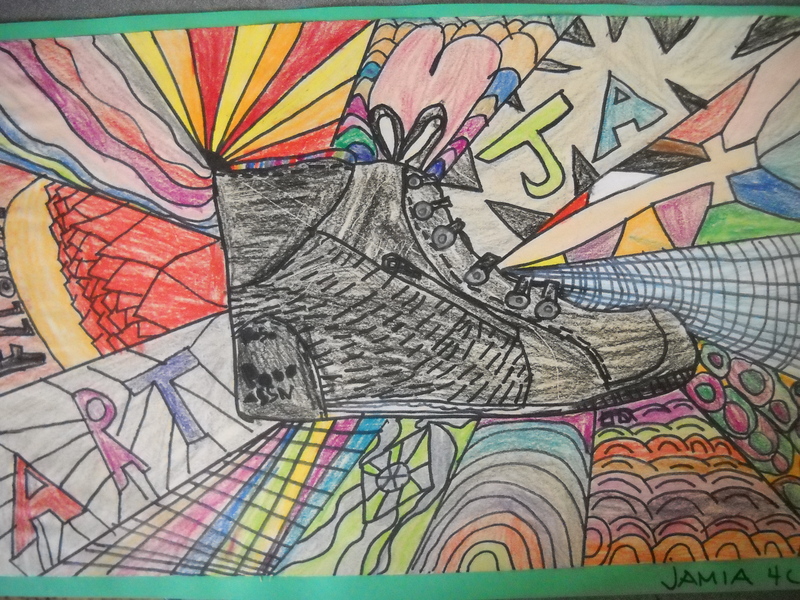 Fifth graders tackled this fun assignment. 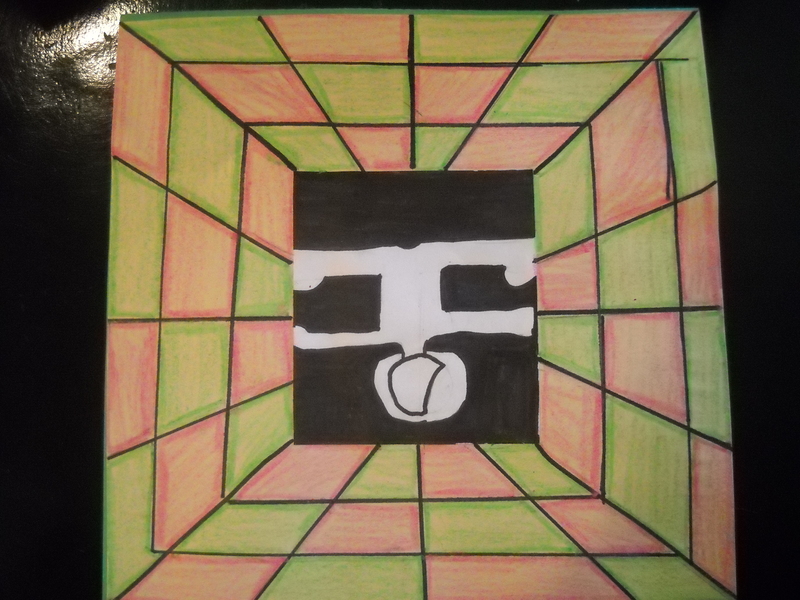 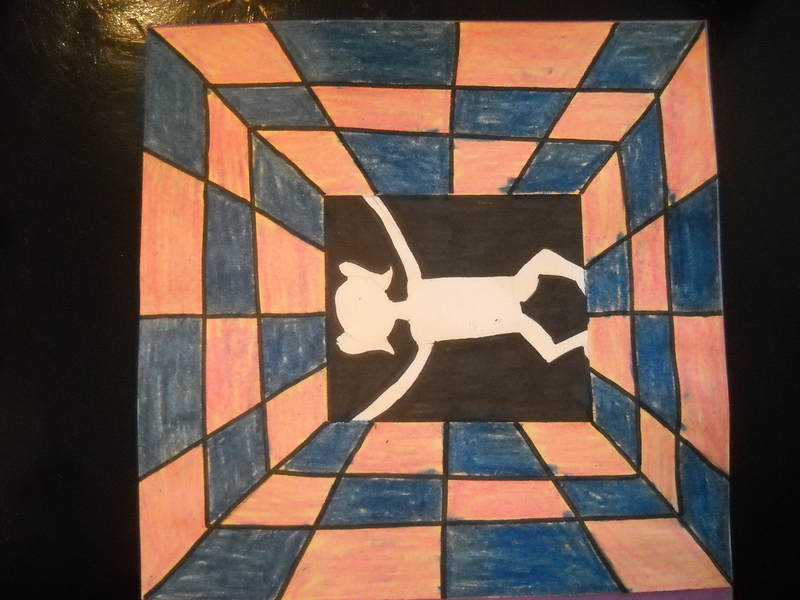 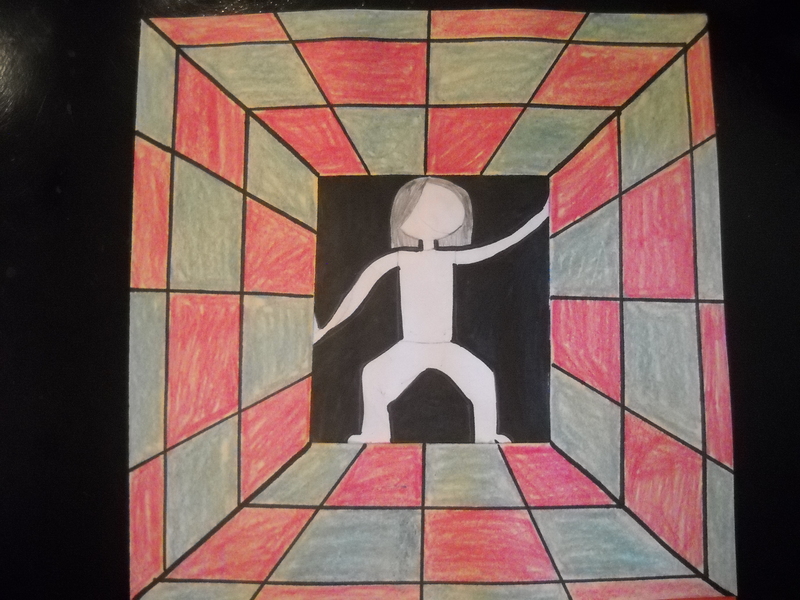 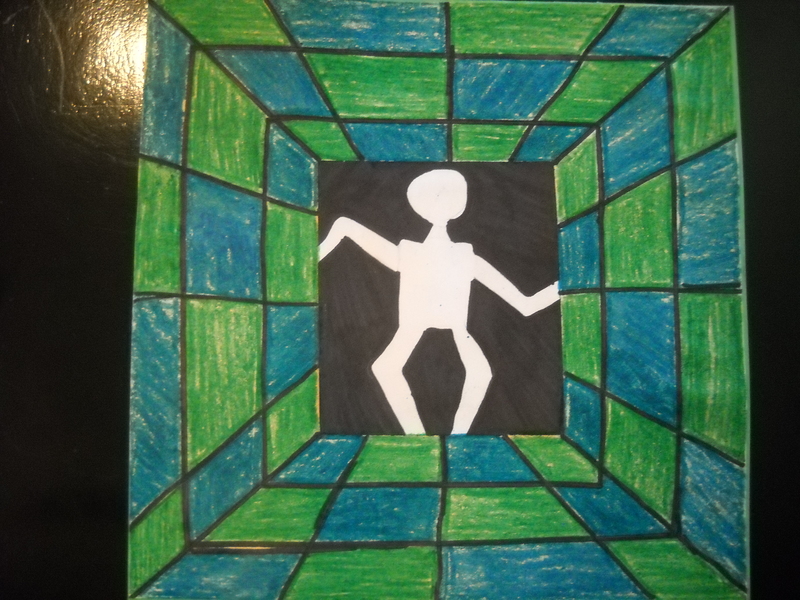 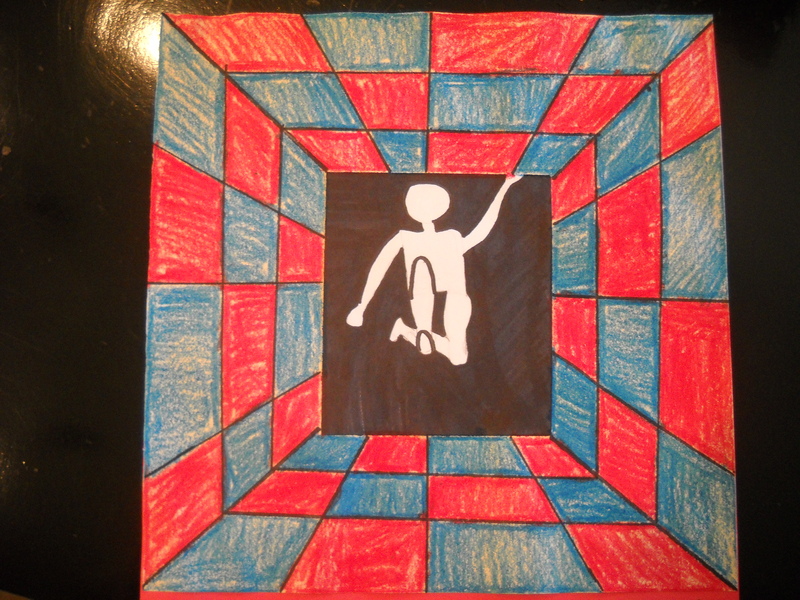 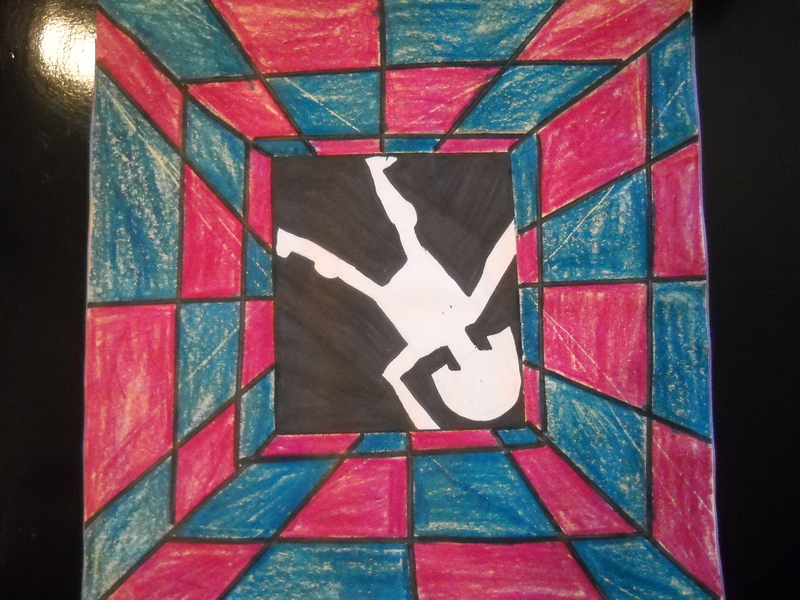 They drew a human figure inside of a box, trying to make it appear as if the figure was trapped. 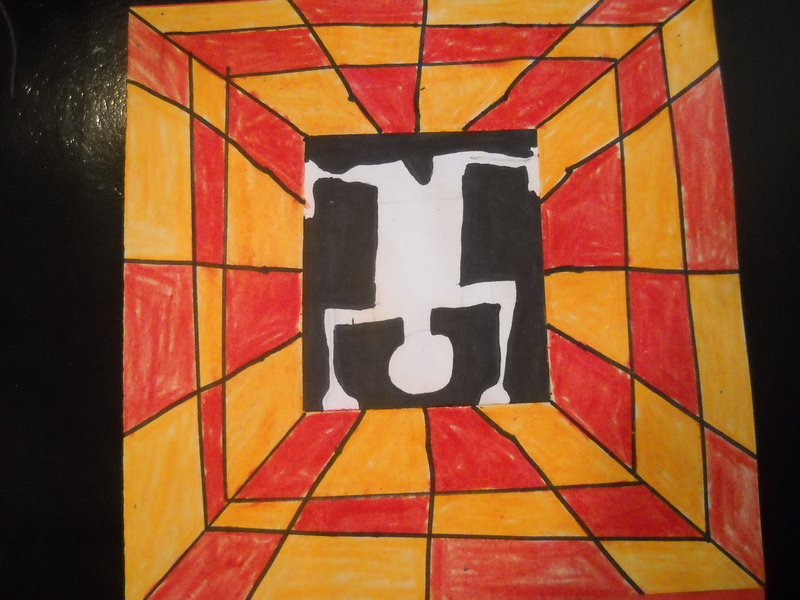 You will see arms and legs in different positions as if trying to escape. 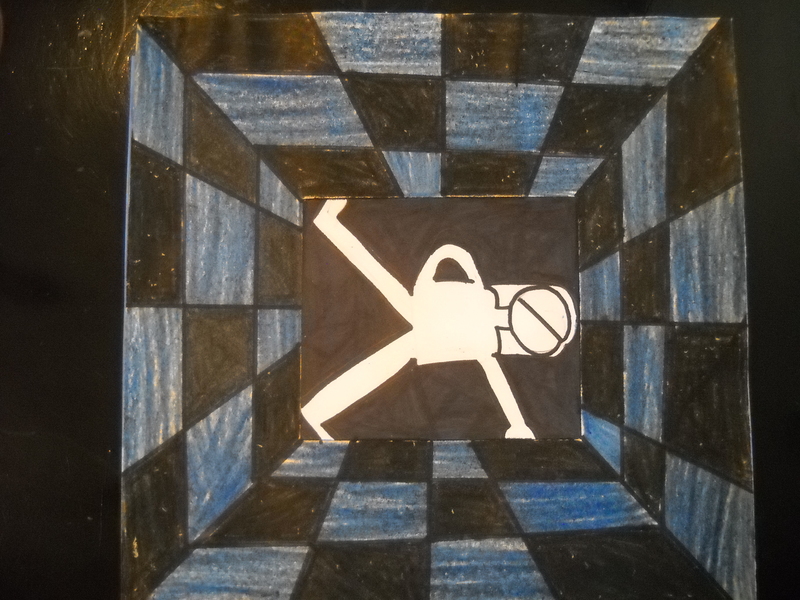 We played the theme song from “Mission Impossible” to set the stage for this lesson.